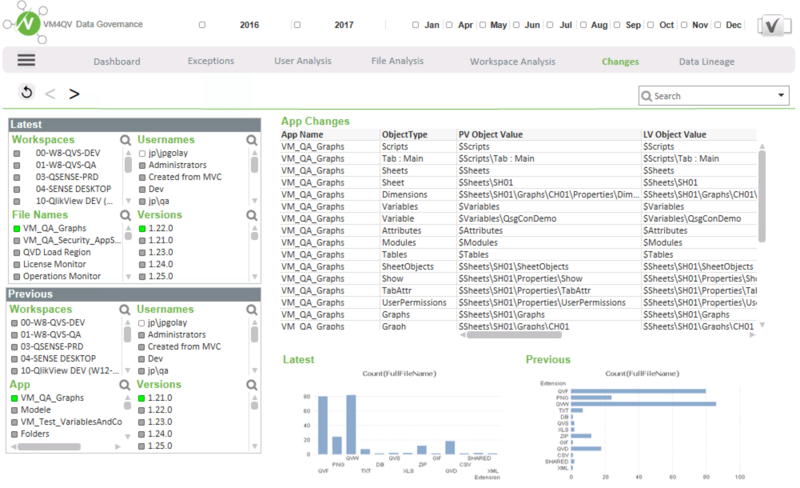 We are happy to announce the release of VM4Qlik v.15.4. We have significantly improved the Governance Application that provides an end-end view of your repository and provides full audibility of all environments. 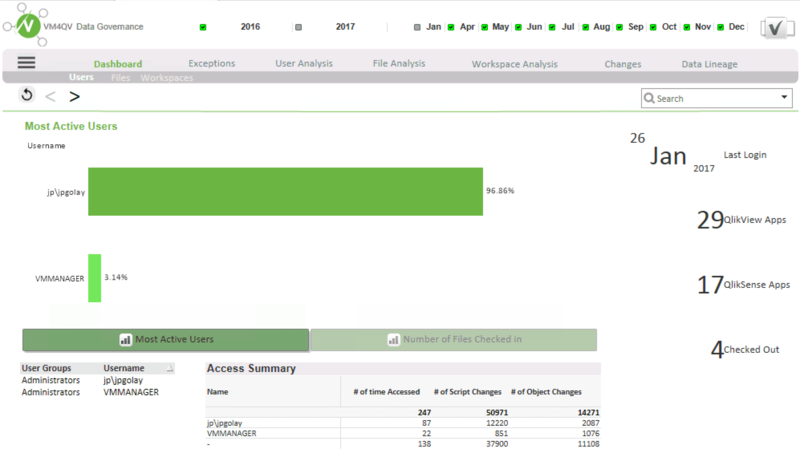 The Governance Application is a QlikView Application that provides full governance and compliance information and analytics on all your environments managed by VM4Qlik. The application is split across user groups and users, applications, application changes, script and view changes, so you are able to audit your system completely across these various analysis.The application not only provides all change and deployment audit information but also data lineage across your total environment between environments, versions, source types, and files.Additionally to data lineage we provide a fully customizable exceptions view where exceptions can be implemented based on your environment defined variables. 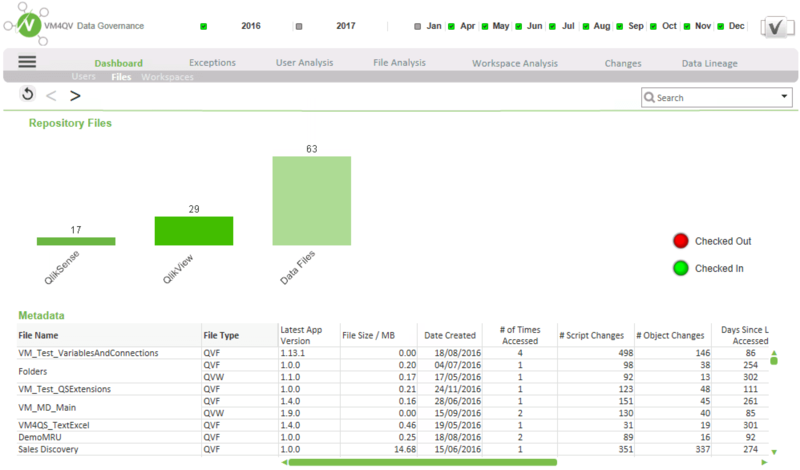 This release brings about new features and support for more Qlik Sense and QlikView functions. We have included the following Qlik Sense Extension Management capabilities. Customers can access the full release notes from our support site.